8/9 March – Over 120 participants joined the two-day Iloilo Trade Mission to explore business opportunities in the region. 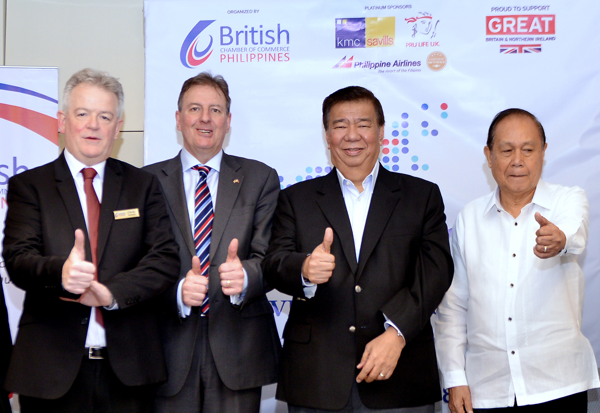 Following last year’s successful mission to Davao City, the British Chamber of Commerce sought to further regional development by bringing the largest ever delegation of foreign and local companies – a total of 63 delegates from various industries – to another one of the country’s rapidly growing cities. The highlight of the mission was the Iloilo Trade & Investment Forum, which featured key players from private and public sectors, including Ambassador Daniel Pruce, Budget Secretary Benjamin Diokno, and Senator Franklin Drilon. The following day led delegates across the city and province, visiting potential areas of investment in IT, academe, agribusiness, tourism, energy, infrastructure, and real estate. The event, organised by the British Chamber, was part of the British Embassy’s Great British Festival, and was strongly supported by local government and business groups such as Iloilo Business Club, Iloilo Economic Development Foundation (ILEDF), and Local Economic and Investment Promotion Office (LEIPO).